For a 'Map of Bokor Hill Station' click the link or the image. 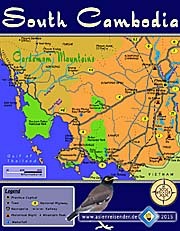 For a 'Map of South Cambodia' click the link or the image. 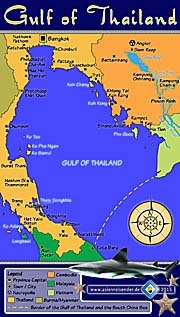 For a 'Map of The Gulf of Thailand' click the link or the image. The vast forested area of Bokor National Park in the Elephant Mountains was not long ago home for a great number of animals. Now it is a last refuge for a decreasing number of animals. 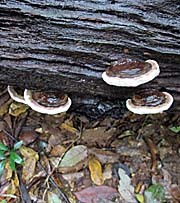 Among them are many species who are unique here. Bokor's forests are very degraded already. You find a visualization of Cambodia's deforestation behind the link. The highest point of the 140,000 hectares large National Park is Bokor Mountain at the former Hill Station (1,079m above sea level), which is close to the open sea at the Gulf of Thailand. A steep edge separates the forest from the more urbanised coastal stripe in the southwest. 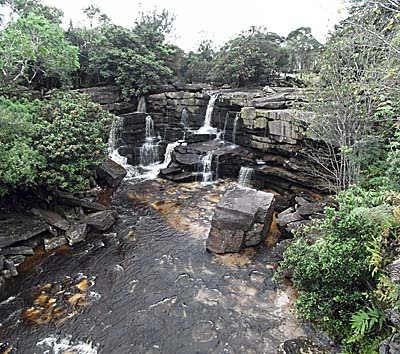 In the north Bokor National Park is neighbouring the Cardamon Mountains (Kravanh Mountains, in fact Bokor is an appendix of the Cardamoms), a much bigger mountain complex. Together, these mountains form the last big area of remaining tropical rainforest in Cambodia. Bokor National Park is of a big size. Hiking there in the forest is dangerous for some reasons. One can get easily lost in the unknown terrain, one can have an accident and needs help. Meeting dangerous animals like snakes or big wild cats is possible, but a rather smaller risk compared with an encounter with poachers or illegal loggers. These guys can play quite rough, are armed and might use their weapons, because they don't like witnesses. 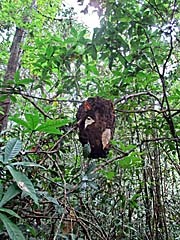 From the wartime there might be still Khmer Rouge land mines in the remoter parts of the forest. Besides, when planning to penetrate the National Park somewhat deeper it requires the organization of a tent and supplies. 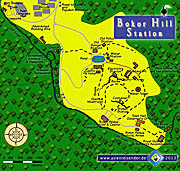 In the past it was easier to organize hiking tours up to Bokor Hill Station and a bit around. Mostly they just followed the old road and it was a comparably easy walk. Now it's difficult to organize guided tours into the forest. Walking up the road is no big fun; it's asphalt and there is traffic. There is another way following partially the Popokvil stream through the jungle. It's possible to get a guide for that. Bokor Hill Station has electricity which is led via cables from downwards at NH3 through the jungle. The cables are led by big metal poles. To build the connection, the forest had to be cleared over the whole distance. A corridor was cut for the construction which was about 10m to 15m wide. One can follow this track from below the old water tower at the Hill Station. Meanwhile (June 2015) the track is getting more and more overgrown by vegetation. Partially a stream uses the track as a bed. When following the electric cables downwards, after a roughly 45 minutes walk one comes to a cliff's edge. It's getting very steep down here, but a narrow track makes it's way zick-zack downwards the slope. Since the vegetation get's so dense here, it's better to have a machete to clear the way a bit. Since I didn't follow the path fully down I can only guess that it's fully passable. Below there comes another high plain for a few hundred meters; then there follows another, much deeper cliff. I would be curious to find out if it is possible to walk down the whole way to the coastline. Very few people come here. In the two hours when I was exploring the first part of the track, I met nobody else. From the edge above one has a great view over the Gulf of Thailand; Kampot's new harbour is well to see (respectively the building site of it) as well as distant Koh Tonsay (Rabbit Island) near Kep. Left hand there is also the new Buddha statue at the Black Palace visible. At the upper cliff of the electrification track. One sees the corridor downwards leading to the second, much deeper cliff. The pillow points at Koh Tonsay (Rabbit Island). The corridor is mostly to see from the national highway 3 (NH3). 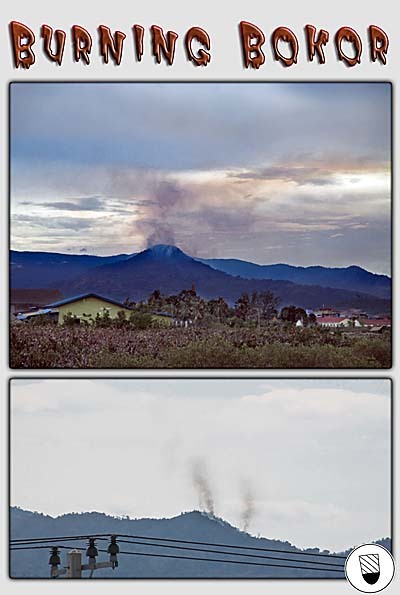 The middle photo gives a view on Kampot's new industrial port. Progress there seems to be very slow, if there is any. Curiously, there is a fitness trail following a track into the dense jungle behind Popokvil Waterfall. It starts at the point where the road ends. 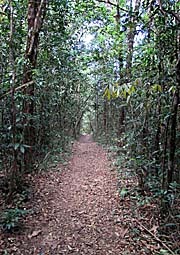 Right and left to the track is dense, secondary jungle. The vegetation is so dense, that the sky is barely to see. Here and there the track splits up and other tracks lead into the dense green. 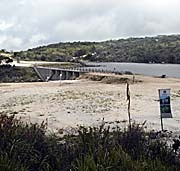 The main track is a 3km long loop. However, one sees here very much how degraded the forest is. There is not one big tree left, the whole vegetation looks of a rather younger age. In global comparison Cambodia has one of the world's worst deforestation rates. 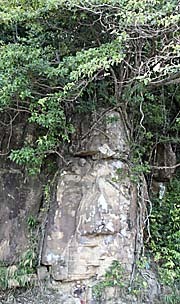 While in 1970 Cambodia was covered by some 80% with jungle, the forest decreased to estimated 3% in the recent years. 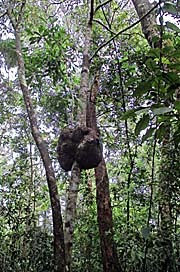 A forest cover survey in 2005 revealed that Cambodia lost 29% of it's primary rainforest within five years only. The forest destroying industries find the easiest access to the jungle in the lowlands, where they accomplish their work first with the lowest investment costs and the roughest methods as violent land grabbing. Now the last remaining refuges in mountainous areas are under severe attack. 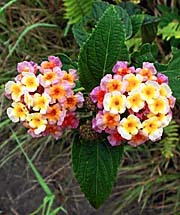 In 2004, Bokor was one of Cambodia's best protected national parks. It was listed as an ASEAN Heritage Park, and a number of independent conservation groups spent their resources into it's protection. A certain cooperation with the Cambodian government was given. 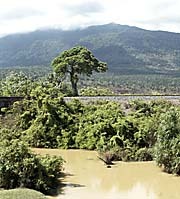 The Bokor National Park is part of the Elephant Mountains (Damrei Mountains) and bordering the Kirirom National Park further north. Now both parks are separated from each other by a main road connecting Phnom Penh and Sihanoukville. 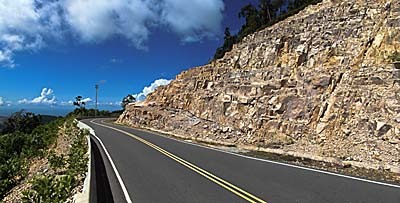 The road cuts the territories of species and gives easier access to natural areas who were formerly hard to reach. Poachers and illegal loggers take advantage from that. 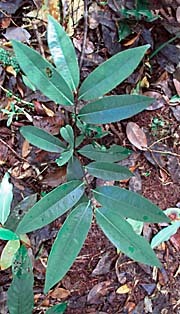 Since Bokor is home to a number of rare or even unique plants and wildlife such as blackwood, rosewood and aloewood, it's an attractive target for poachers. 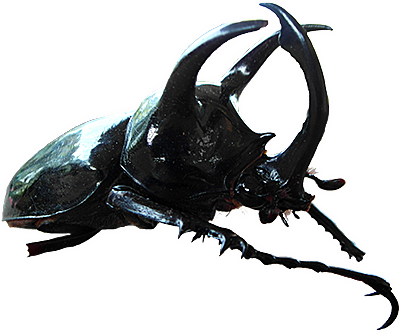 It's possible to reach high prices for seldom species on the black markets. Poachers and illegal loggers make much more money with that than they could ever earn by doing a conventional job in the local economy. 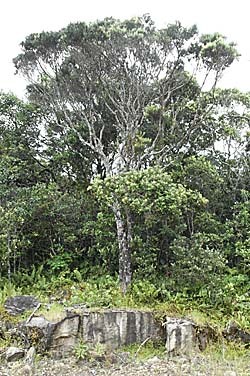 To protect Bokor, a conservation programme called 'Surviving Together' was implemented in the year 2000. Surviving Together provided training and support for 55 park rangers. The rangers guarded Bokor's forests and confiscated chainsaws, destroyed poachers camp's and charcoal kilns and they removed thousands of snares from the forest every year. A dangerous job, because poachers are armed and not just willing to retreat when a ranger tells them to. Despite their efforts the problems in the park increased. Larger numbers of illegal chainsaws were found every year. In 2007 alone 153 chainsaws were confiscated. A single chainsaw costs between 200 and 800 dollars. That's a considerable investment for a villager, but a cubic metre of blackwood or rosewood sold on the black market therefore brings already an equivalent of the money back. A single chainsaw user can fell and cut four or five trees a day. 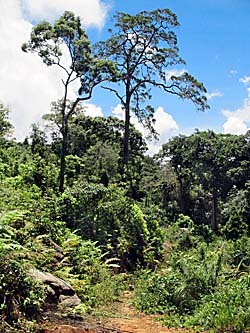 In whole Bokor National Park are estimated 150 chainsaws in use for illegal logging. Since the villagers who perform the logging themselves don't have access to the black market for timber, they cooperate with middlemen from outside. Probably most of them are also equipped by these outsiders. And these 'outsiders' are usually integrated into the networks of the army, police, politics, cooperating with normal businessmen who do then the money laundry work. In the rural parts around the Bokor Mountain massive are estimated 50,000 people living. 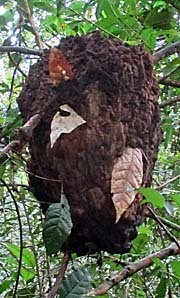 Since ever they lived from the forest resources, collecting wood and plants, hunting, also logging in a moderate scale. This model was sustainable for thousands of years. Just since the second half of the 20th century the equilibrium is out of balance. More and more is taken out and can't recover in time or at all. The figure of 50,000 might be too moderate, for the city of Kampot alone inhabits more than 50,000 people alone, who, by a considerable part, also prey on the forest's resources. Population growth and particularly poverty are the reasons for the overcrop, so far it concerns the simple people in the villages and hamlets. They even lack basics as clean water, food and healthy housing. When it comes to the networks and companies behind them, it's all about profit and money making for those who are rich anyway. The trouble for the villagers is that the process destroys their ecological and economic basics, while big money just moves to another place after one is wrecked down. Back in time, before the invention of chainsaws it took several men a week of work to cut down and prepare a single big, old tree. Now, equipped with a chainsaw, a single logger does that work within an hour. By the way, when moving around up on Bokor Hill Station and the wider surrounding one does not see a single old, giant jungle tree anymore. The remaining forest there is all young, most of it of the same age and height, secondary forest it seems mixed into remaining primary forest of low economic value, while the 'best pieces' have been cut out. The remaining old trees grow in steep slope positions, hardly accessible for the loggers. Some are to see when coming the new road up to Bokor Mountain. The Wildlife Alliance has payed salaries and training for the park rangers for many years. 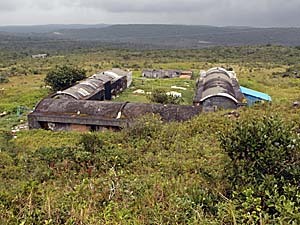 The support also covered trucks, radios, more equipment and the ranger station on Bokor Hill. In 2008, when the Sokimex Group took over the National Park in a 99 years lease contract from the government, the rangers were displaced from the Hill Station down to the entrance point to Bokor at the foot of the mountain. There was not even a consultation with the Wildlife Alliance when doing that. Superfluous to add, that the rangers could not do their job properly anymore. As a reaction to that, the Wildlife Alliance suspended all their payments and support for the rangers. 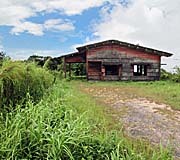 Compared to the building activities on Bokor now, the illegal logging caused comparably limited damage to the nature. Now some ten percent of the National Park is getting logged legally and a new city, designed for a 100,000 people, is getting built within the National Park. This cancer might grow in the future, when big money develops more investment opportunities inside the National Park. On my latest visit in 1/2017 I heared at least two chain saws down here in the forest. The touristic highlight of Bokor Hill Station is the French ghost town with colonial Bokor Palace Hotel & Casino, a former catholic church, together with a few other colonial buildings and an artificial pond, built in the years 1921-24. 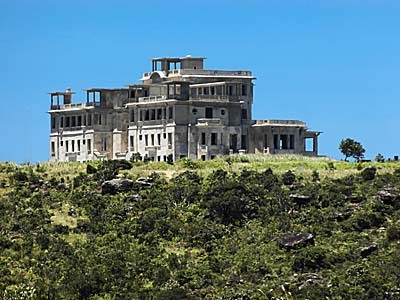 For the French colonialist elites, Bokor Hill Station was a recreation area with a much cooler climate up here on 1,080m above sea level than it is down in Kampot, the 1916 established seaside resort Kep or in Phnom Penh. The phantastic view over the Gulf of Thailand is an additional eye-candy. Though, the Hill Station wasn't that popular in the first years after the opening. Service and food had a bad reputation, the water quality was low and the prices pretty high. Fewer guests than expected came up here. Bokor Hill Station was abandoned by the French in the years after the Second World War, when Khmer Issarak guerillas took the place over. 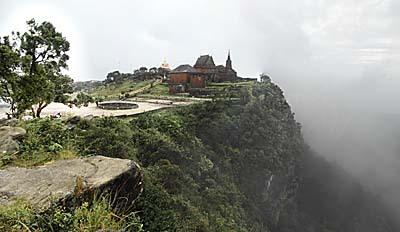 Following the Cambodian independence in 1953, Bokor Hill Station became popular among the Cambodian elite. Promoted and officially reopened in 1962 by king Sihanouk, the heyday of the place was in the 1960s. The casino was (re-)opened and every day cars came up nonstop and parked in front of the Hotel & Casino. The rich and the beautiful of Cambodia met here. Suicides are reported, commited by people who lost too much money instead of making a fortune. 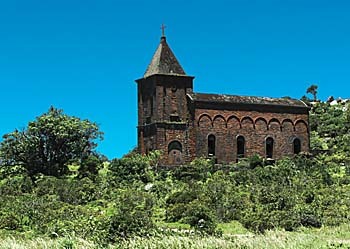 According to a French historian there were also executions commited at Bokor Hill Station in the first years after the independence. Communists or alleged communists were being thrown down from the edge of the cliff. When Sihanouk was ousted by the Lon Nol coup de etat in 1970, things changed again. 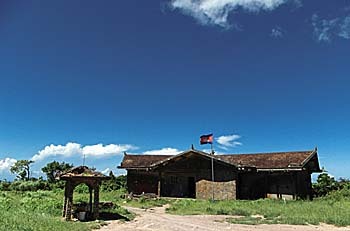 Soon after the coup, Bokor Hill Station became a Khmer Rouge base. Now the Red Khmer took revenge and threw themselves their enemies down from Bokor Mountain, blindfolded and the hands tied behind. Bokor Hill Station was for more than twenty years under Khmer Rouge control, until 1993. After the Vietnamese invasion in 1979, Vietnamese troops fought their way up to Bokor Mountain. Fightings between them and the Khmer Rouge are recorded. The Khmer Rouge held the old Hotel & Casino, while the Vietnamese army had a post above the church. 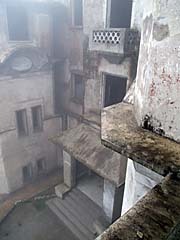 When the communists ceased their resistance, the Hill Station remained a widely abandoned place. It was only interesting for the upcomming local tourist industry in Kampot, offering guided tours. Since the 2008 overtaking of the National Park by the Sokimex Group, a new chapter in Bokor's history started. It leads straight to the point that the term 'National Park' declines to a hollow phrase. From Kampot up to Bokor Hill Station on Bokor Mountain (Khmer: Phnom Bokor, means 'ox hump mountain') now leads an improved, paved road. It's a 32km serpentine road which splits from NH3; the distance from Kampot to the roadsplit are another eight kilometers. A few years ago it was a desastrous trip up to the Hill Station, only possible by walking or on a four-wheel drive jeep. As a passenger one was challenged by the threat being catapulted from the back of the pickup. Now it's easy to overcome the 32km distance on the mountainous road after turning right from the national road 3 to Sihanoukville, which leads parallel to the coastline. The new road up to Bokor Hill Station seems to be the best road in Cambodia. 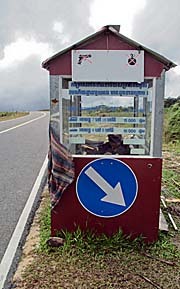 At the beginning of the road is the unavoidable ticket booth placed; vehicles have to pay a toll for using the road. Bokor Hill Station is popular for it's spooky, foggy atmosphere. The showdown of 'City of Ghosts' (Matt Dillon / Gerard Depardieu) was made here. In 1969 king Sihanouk played a role in the movie 'Rose de Bokor'. On the way up the mountain, 10km before the Hill Station, there are remains of an old summer palace of the Cambodian kings. The palace, built in 1936, is called the Black Palace (Veang Khmaawt, or Damnak Sla Khmao) because it was originally built in brick and blackwood. 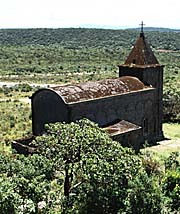 It is abandoned since many decades already. One of the Cambodian kings installed by the French colonial administration was king Monivong, crowned in 1927. Monivong spoke fluently French, was loyal to the French rulers and had adapted many western customs. When France was overrun by German armees in May/June 1940, the French colonial administration, in difference to French colonies in other parts of the world, subdued to the quasi-fascist Vichy government. In the aftermath the Japanese armees entered French controlled Indochina and made an agreement with Thailand. The Cambodian provinces Battambang and Siem Reap were given to Thailand as a result of the Franco-Thai War in 1942 and in exchange for privileges granted to the Japanese forces. In grief about that and deep disappointment about the weakness of the degraded and humiliated French authorities, king Monivong retired to the royal estates on Bokor Hill. He refused to meet with French officials and even to speak French anymore. 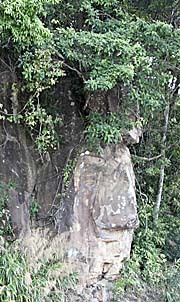 On Bokor he lived together with his favourite concubine Saloth Roeung, who was the sister of Saloth Sar. 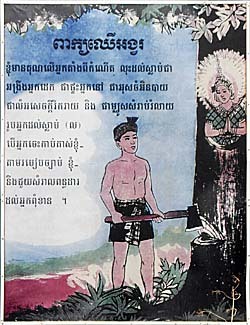 Saloth Sar became later known for the world as Pol Pot, 'Brother Number 1' of the Khmer Rouge regime. Monivong himself died soon later in 1941 up there on Bokor Mountain. Monivong's successor was then, by the way, the 19 years old Norodom Sihanouk. Close by the Black Palace is a new, big Buddha statue erected. 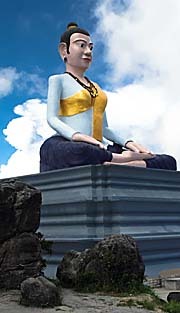 Remarkably is that it is a female Buddha - the first female Buddha I have seen yet. It's presumably a Chinese adaptation. In front of it are a number of different idols placed, who don't look anyhow Buddhist. Bokor Hill Station presently in the still old state. North of the map's edge is a lot of building activity and things are drastically changing now. The construction of the road up to Bokor Hill Station is a proper example which throws a light on the arrogance and contempt which the the official, imperial France showed for the common local people. 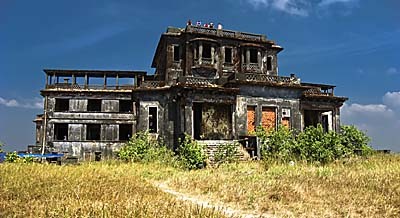 The decision to built a French pleasure palace on Bokor Hill Plateau was made after the First World War by Resident Superieur Francois Baudoin. It was also intended to rival a comparable place the British empire run in Poona/India. Besides of the grand hotel and casino, a tennis court, gardens with European fruits and vegetables and paths, where the distinguished visitors could have strolls, there was a bungalow for Baudoin himself built. The whole project consumed an enormous sum of tax money which was cut out of the local Cambodian population. The oppositional press in Saigon and France protested against the excesses and titled Baudoin the 'tyrant of Cambodia'. A temple for the pious colonists: the French catholic church, an empty ruin now. Image by Asienreisender, 5/2013. The building project also caused many deaths, especially the construction of the 32km long serpentine road from the coastline up to the mountain top, all cut through dense tropical rain forest along the steep slopes. There are no official publications of the death toll; the press in Saigon published that there died between 900 and 2,000 workers. The French novelist Marguerite Duras remembered later her mother, who was one of the French settlers at the time in Cambodia, telling stories about the horror and the brutality with which the workers were treated. Bokor Hill Station was built for the benefit of the French establishment; the Cambodian peasants paid the price in sweat, blood and taxes. The increased tax levels in the early 1920s caused widespread anger. When the Khmer Rouge occupied Bokor Hill Station, they controlled the road access. 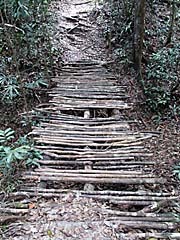 To avoid Lon Nol troops and later troops from the Vietnamese army to invade the Hill Station, they blocked it with cut trees and by using explosives. The road as well as the Hill Station itself was contaminated with land mines. 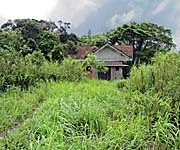 In the 1990s, until the construction of the new road in 2012, it was in a poor state, left without pavement. Meanwhile Bokor National Park is under thorough construction activity. Owned by the Cambodian government, a private investor, the Soka Hotel Group, part of the petrochemical Sokimex Group, got a lease for 99 years on it. The deal was made in 2008 and contained a multybillion US$ investment schedule. The targeted time to realize the whole project is 15 years. The 1994 by Sok Kong founded 'Sokimex Cambodia Investment Co. Ltd'. has a portfolio which ranges from garment production via gas to five star hotels. Sokimex had the ticket concessions at Angkor Archaelogical Park and plays generally a central role in Cambodias booming tourist industry. Sokimex is also the no. 1 on the Cambodian market for petroleum products. 14,000 hectars, ten percent of the whole area of the National Park, is going to be transformed. The city planning includes a touristic infrastructure with hotels, a gulf course, restaurants and, as a crown-jewel, at least one new casino. Among them are huge buildings. Additionally a whole new city with housing for 100,000 people will be created - that's the double amount of inhabitants than in Kampot. The new city is getting constructed mostly as second homes for wealthy middle-class families, as retirement homes for elderly or weekend residences. 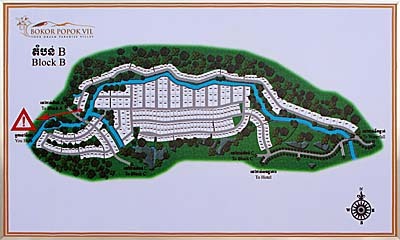 In 2012 the construction of 1989 villas was planned. That's probably only the beginning. As we all know, towns and cities are nothing static; they always expand. Great impact on the nature caused already the improvement of the old road, which was not only paved but also broadened. The scars in the mountains are widely to see, clearly from Kampot for example, but also from much further distant Kep. I just want to remember at this point that this is about an enterprise inside 'Bokor National Park'. At the May 3rd 2012 inauguration ceremony primeminister Hun Sen said in a speech that conservation was a priority in the National Park. Well, certainly, and it seems to be of the lowest priority. The new 'Thansur Bokor Casino' is already completed and open. Entering the place from the huge parking leads into a bombastic reception hall and from there to different halls with gambling equipment. The rooms are all generously spaceous and smell for fresh concret and new carpets. There are a lot of 'dont's' announced on signs as no bags, no cameras, no weapons, no handgrenades and enough uniformed bogeymen to throw one out in case of disagreeing to one of these rules. The gambling rooms expand over several levels. 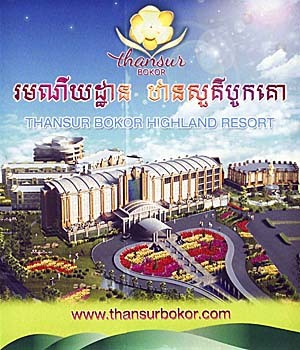 The Thansur Bokor Highland Resort seen on an advertisement poster. Right side the kids club and in the background, the towerlike building will be the convention center. In a sharp contrast to the glamour world of the wealthy and the rich, in the nearby ruins around the old pond are poor, local people living. Maybe the families of some of the construction workers? Behind the main building are several more buildings who all house hotel rooms for the guests. At one side of the casino an indoor fun park is built, another big building in cream colour, and behind that a number of more huge, half-ready constructions who supposedly will house more hotel rooms in the near future. Further up the hill, directly neighbouring Wat Sampeo Pram, is another huge building site. It will be a pompous convention, concert and exhibition center with space for more than 4,000 visitors. It's planned to be opened in 2014. The road which leads from the temple to Popokvil Waterfall is passing the site of a huge concrete factory (left hand, not far behind the temple). When further following this new ringroad to Popokvil Waterfall, one sees the huge impact of the major logging what has been done already. But that's only the beginning. The new, long ringroad is encircling the area of the new housing blocks of the city. Here the new roadnet has been already finished as the first, basic step for further building activities. The concrete roads will probably get an additionally pavement. At my latest visit in January 2017, a new sideroad was built and opened, leading to a place called the '500 Rice Fields'. Entrance is blocked, a ticket booth placed. 3 dollars US for foreigners; I don't know, what the precious Khmer pay. Expanding infrastructure. To give better access to visitors and residents an extension of Sihanoukville Airport with improved international arrivals is under consideration. However, from there all the way along NH4 and NH3 and up the road to Bokor, it's still a long way. Not attractive enough for frequent visitors like the expected new residents. Interesting to remember that just six years ago there was still forest where these huge buildings are placed now into a citylike surrounding. It all looks as surreal as a computer generated simulation, kind of 'Sim City'-like. At a visit on June 1st, 2015 there was no further building progress to see. Although there is a timeframe of 15 years set, the stagnation is remarkable. Popokvil Waterfall. Different than at a first visit in May, the water has a dark-brownish colour. The whole Popokvil stream was coloured alike, as well as the lake streamupwards. At a closer look it was identified as small particles in the water. Remarkably is the exactness in which the edge is shaped. It looks like being cut with a knife. 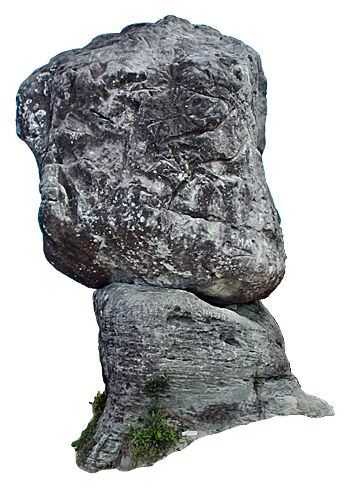 Also the huge block on the ground looks shaped and is in a position which can not easily be explained by natural forces. The site looks as it has been a quarry in the past. A few kilometers north of Bokor Palace Hotel & Casino is the real highlight of the area. 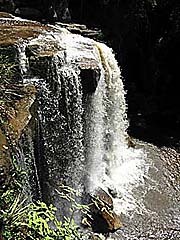 It's a river forming a few deep cascades of waterfalls downwards a sandstone plateau. Huge blocks of bright and dark sandstone are piled up here, refusing the water from carving out a smoother or rapid-like transfer downwards. The surrounding is forested, some trees are quite big. It's possible to climb down to the second lowest foot of the fall and having a bath in the pool there and using the waterfall as a shower. The water there is shaken and not clear. As I saw it, there are three cascades, every one more than 10m deep. Popokvil Waterfall is magnificent and still half-the-way in it's natural state, although it is a tourist attraction. There is a parking with another bogeyman to guard the vehicles. One better closes the eyes first when approaching the river, because on the left side there is a restaurant building, styled like an university canteen, big enough for hundreds of guests. It's construction is already finished but it's not yet opened. In the future there will be a mass public visiting the waterfall. Probably tourist coaches will each drop dozens of visitors. However, things are going on and, at another visit on June 1st 2015 it came what had to come: there is a ticket booth now and entrance is charged (50 US$ cents - at January 2017 the entrance rose to 75 US$ cents). The canteen is open now and it was busier than I have seen it ever before (might have to do with that it was a national holiday). The tourists who visit the place now do their share of harm already. Most of them come in groups or families, bring plenty of food and litter their plastic waste mindlessly around. 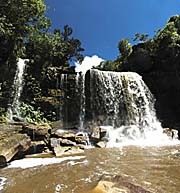 Have also a look for two other waterfalls in South Cambodia: Stung Phong Roul Waterfall and Kbal Chhay Waterfall in Sihanoukville Province.